Tomatoes. Image courtesy of Flickr user rightee. In the late nineteenth century, the Supreme Court decided the tomato was a vegetable, not a fruit, because it’s served with dinner not dessert. But why can’t we have our tomato cake and eat it too? 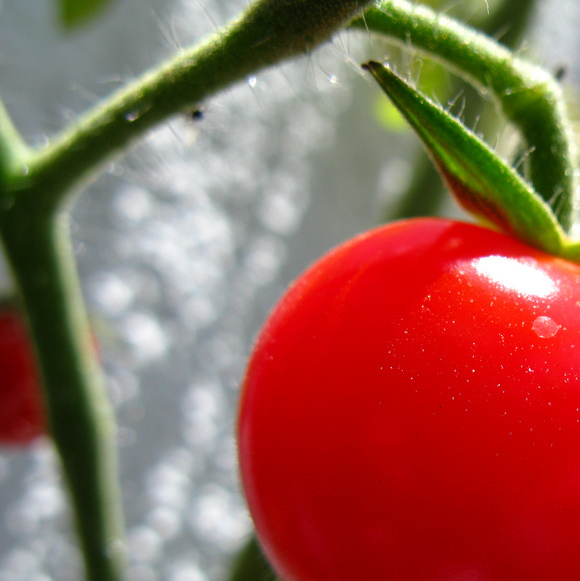 The first tomato grew in South America. It was cultivated and taken to Central America where conquistadors took it across the ocean blue to Europe where it revolutionized cuisines. It was pomo d’oro, the golden apple; paradiesapfel, the apple of paradise. By 1604, English had the tomato, “a great sappy and savourie graine.” The plant was taken to North America, where Jefferson acquired a taste for it. And in 1886, eleven shipments of tomatoes arrived in New York from Bermuda aboard the ships Trinidad and Orinoco, destined for greengrocer John Nix. Customs officers assessed a ten percent duty on the tomatoes, due upon the importation of vegetables, amounting to $266.90. Outraged, John Nix wrote to the Collector of Customs that the tomato was not a vegetable, but, as every schoolchild knows, a fruit. The Tariff of 1883 – the Mongrel Tariff Act to its detractors – imposed a duty on “vegetables” but exacted no duty at all on “fruits” not otherwise enumerated. Nix, naturally, thought his tomato a fruit free from taxation. Customs, naturally, thought it a vegetable subject to tax. And so the case was ripe for trial to determine whether tomatoes were fruits or vegetables. Tomatoes. Image courtesy of Flickr user epSos.de. The trial took place in May 1889 and mostly consisted of greengrocers being called to the stand – Tomatoketchup pioneer E. C. Hazard among them – to read aloud definitions of “fruit,” “vegetable,” “tomato,” “pea,” “egg-plant,” “cucumber,” “squash,” “pepper,” “potatoes,” “turnips,” “parsnips,” “cauli-flower,” “cabbage,” “carrots,” and “beans.” Both sides rested, the government’s counsel moved for a direct verdict, and the jury found the tomato was a vegetable. In a brief opinion, the judge cited to the common vernacular. Adamant the tomato was a fruit not a vegetable, Nix appealed. In October Term, 1892, the case went before the Supreme Court, the “sole subject of inquiry,” said Nix, being “the meaning of ‘fruits. '” Nix’s case was argued by Edwin B. Smith, a former Attorney General under Grant, who, it seems, had a penchant for just this sort of case, having previously debated, among other cases, whether ivory piano keys were “musical instruments.” Smith’s brief is a disordered jumble of arguments which fall into three broad classes: (1) the statute’s distinction between and different treatment of fruits and vegetables, (2) the vernacular distinction between fruits and vegetables, and (3) the interpretive process generally. “Its peculiar flavor is that of a fruit, not of a vegetable,” because “[t]aste for it has to be acquired.” Unlike broccoli and asparagus, of course, which children traditionally clamor for. Like other fruits, the tomato possesses “an agreeable acid flavor.” In fact, an 1899 monthly magazine noted “[i]ts acid is a recognized corrective when hearty dinners of reach viands are partaken of.” Good to know. 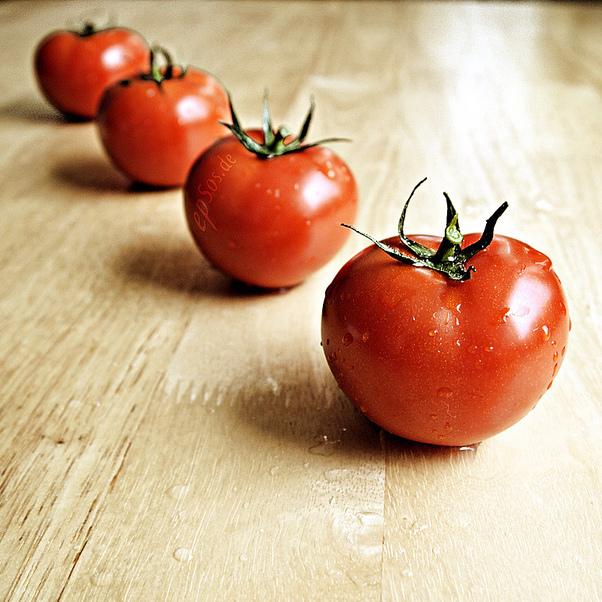 The tomato is a fruit because “a majority of consumers eat it with sugar, as they do berries, and as many do melons; while an epicure who would sugar his turnips or cabbage would be eccentric.” Nowadays, an epicure who would sugar his tomatoes might, too, be considered eccentric. But who knows. I leave Smith to his anachronistic treat. 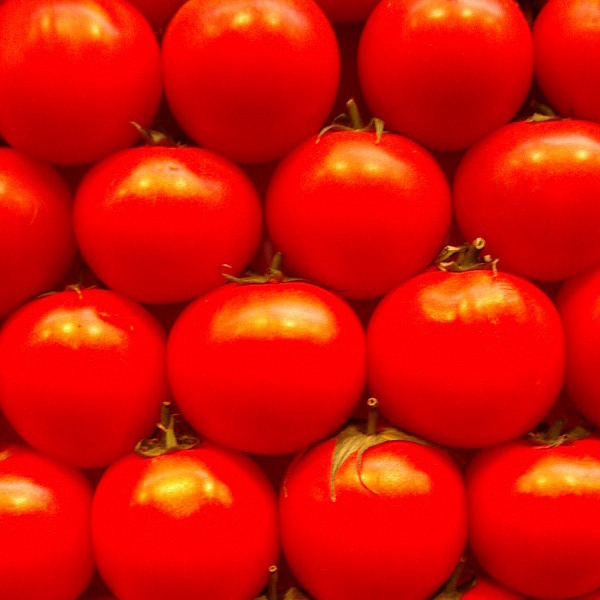 Tomato. Image courtesy of Flickr user photon_de. The case is best known for Justice Horace Gray’s opinion which found that while tomatoes are botanically fruits, they are, like vegetables, “usually served at dinner in, with, or after the soup, fish or meats which constitute the principal part of the repast, and not, like fruits generally, as dessert.” Smith’s sugared tomatoes perhaps notwithstanding. As legal precedent, its history is limited: capers, melon seeds, and horseradish are not vegetables; rhubarb is a fruit; water chestnuts are vegetables; so is nori tsukudani. It appears in case books from time to time — more rarely in the popular press — precisely because it is a legal curiosity, a comically pedantic question for the highest court in the land to have considered once upon a time, a case that resulted in a quaintly pretentious opinion. Even when it was first handed down, the Court’s reasoning was ridiculed. The Chicago Legal News asked, “Is the Supreme Court becoming aristocratic?” The Omaha Mercury was more scathing in its response, finding the court’s reasoning showed “the court is composed of persons who are at least judges of good dinners,” suggesting that at less “aristocratic tables” pork is often served with apple sauce and vegetables such as pumpkin and squash are made into pies. The paper actually agreed with the court that the tomato is a vegetable but chastised it for looking only to “the ways of fashionable society at swell dinners.” The paper feared a sort of gastrocracy: “It is not the law we complain of; but that French chefs and imported head waiters should make it.” Sounds rather lovely, actually. The paper concluded its diatribe, writing: “‘Vegetables are such things as are eaten after the soup and fish.’ Had the court added that they are never eaten after the second course of wine, our humiliation would have been complete.” Indeed. Sliced tomatoes. Image courtesy of desegura89. TOMATO DESSERT. Take well-ripened yellow tomatoes, peel them, slice thin, and put them and crushed sugar in alternate layers; let them stand a few hours and serve with rich cream. Most persons who are fond of raw tomatoes relish this dish very highly. Sugared tomatoes! Smith would be happy. And apparently green tomato pie was a common Southern treat. Here’s a recipe. And another. And another. And a cake. Last August, Bon Appétit published eight recipes for tomatoes for dessert; a tomato tarte tartin is especially intriguing. Food & Wine tried a tomato-raspberry granita. There was a discussion on Chowhound in 2008. Several years ago, the San Francisco Gate profiled an Oakland restaurant for it use of tomatoes in its desserts, and The Globe and Mail did the same for restaurants north of the border. The Chicago Tribune documented the “tomato dessert challenge.” Even Food Network got in on the game, pairing them with caramel and vanilla ice cream, and the Cooking Channel paired them with crepes and strawberries. So experiment. Try a tomato and peach cobbler. A mystery cake sounds ominous. 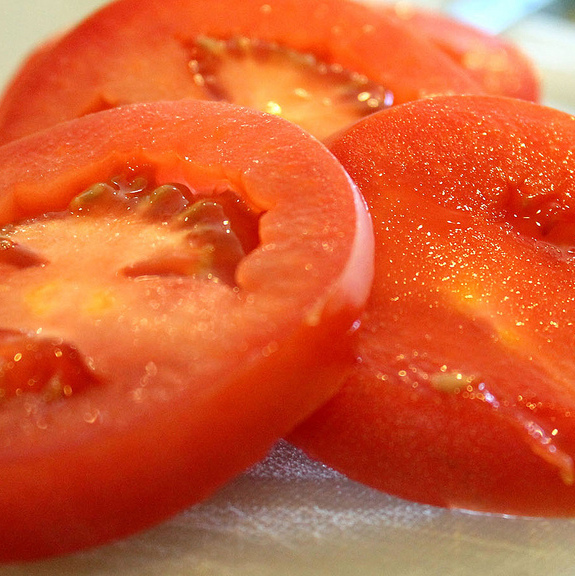 What do you think of tomatoes for dessert?